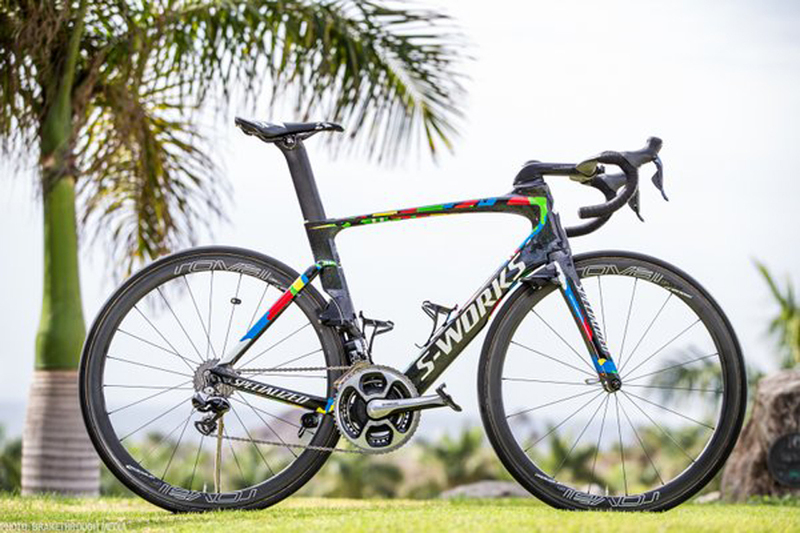 PezCycling News - What's Cool In Road Cycling : Ed’s Rant: Money Makes The World Go Round! Ed’s Rant: Money Makes The World Go Round! 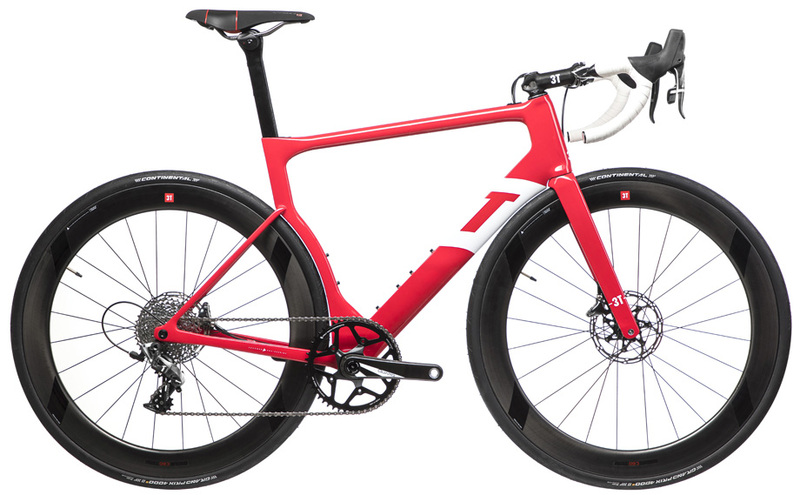 Ed's Opinion: Ed Hood has been keeping his rants in check, but the sight of a 22 grand bike has got his blood boiling and don't mention 1x11 and disk brakes! Bikes need to be sold and new 'fashions' or 'technologies' need to be found to keep the cycling World turning. Rant time! Liza Minnelli got it right; ‘Money Makes the World go Round’. Our sport was born from commercial interests; to sell newspapers, bikes, aperitifs, coffee machines, salami, high fashion, cars, cosmetics, I could go on. So it’s no surprise that green backs are so important in this sport where teams are known by their product name rather than a place name, which is the case with most other team sports. But this obsession with moolah is getting out of hand within the cycle industry. At the last Tour de France, Martin and I made the Quick-Step Floors bus one of our first ports of call so we could catch up with our amigo, Jack Bauer. 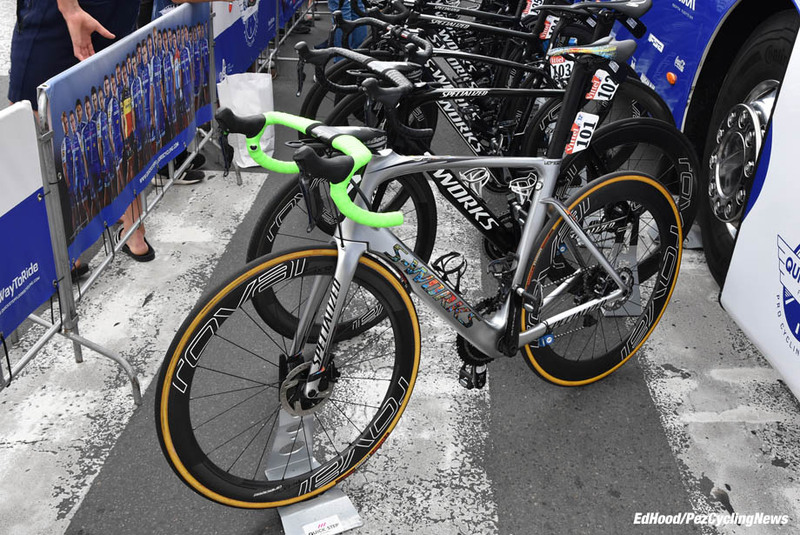 On proud display was multi-stage winner Marcel Kittel’s machine, complete with discs ready for another, flat, fast stage. But a day or so later, as the Tour headed into the mountains, Big Marcel’s bike was displaying conventional rim brakes. When I pointed this out on social media I was told in patronising, ‘we best explain this to the old fool,’ fashion that; ‘disc brakes are too heavy for stages with lots of climbing.’ Right. 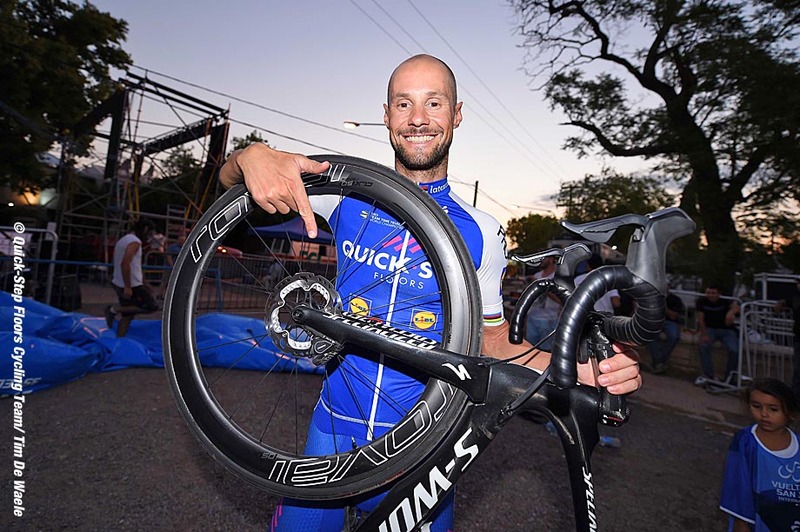 This means that on the stages where the hardest braking Marcel does is when he pulls up to cuddle his team mates after another winning supersonic finale, he rides discs. But on the stages where that big frame of his is hurtling down cols at warp speed and could really use that extra braking power, he doesn’t have it. Enough said. We spoke to friends at one of the big equipment manufacturers and their view is that they give the option; ‘discs are there if you want them, but our rim brakes are still there and better than ever.’ It’s the bicycle manufacturers who are pushing discs hard, not so that you can have ‘better’ braking but so they can sell you another bike. The Sportive boom has peaked, most everyone has two bikes now and they have to be convinced that they really need another one – a machine that’s radically different from the one(s) they already have. Enter disc brakes with no standardisation on rotor size or through axle design – take a look at the pro peloton in the mountains and see how many riders are on them when the road rises. Then there’s ‘1 x 11’ transmission. 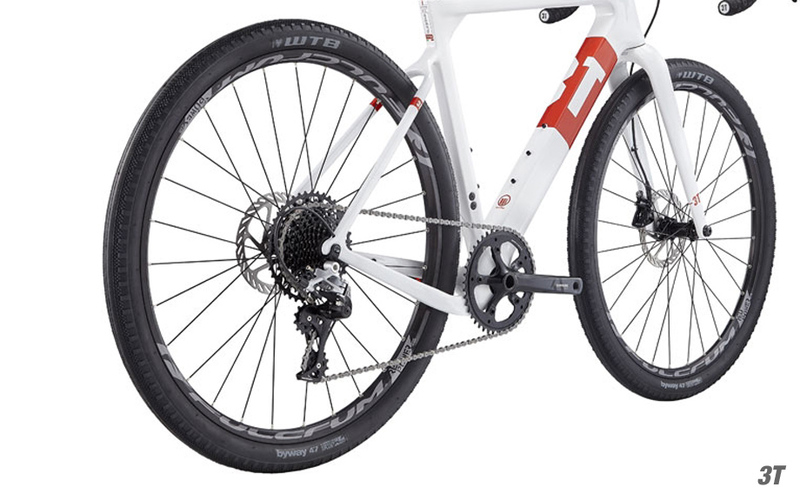 For MTB and cyclo-cross the attractions are obvious; a simpler set up, much less chance of chain derailment on the chain ring and there’s a weight saving. 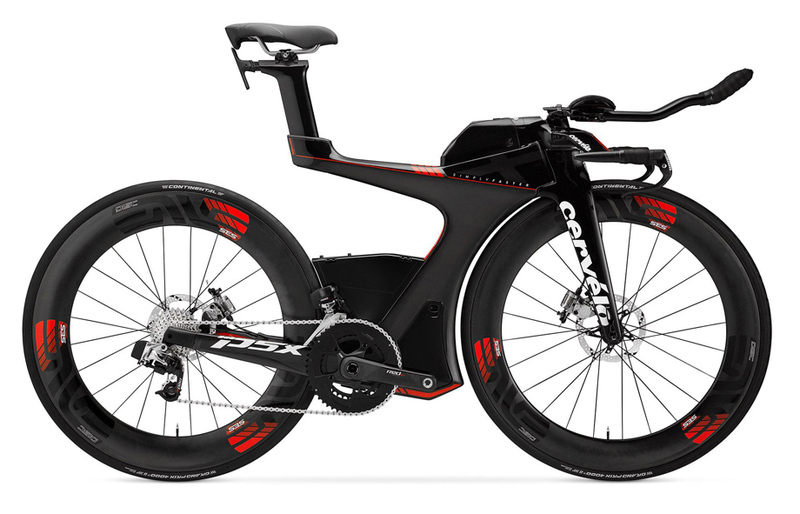 And there’s the aero aspect, with no front mechanism there’s much less turbulence around the chainring area – there is then obvious benefit in a time trial on a non-technical parcours. But on a road bike in a packed peloton with the air comprehensively churned – how much difference will that really make? 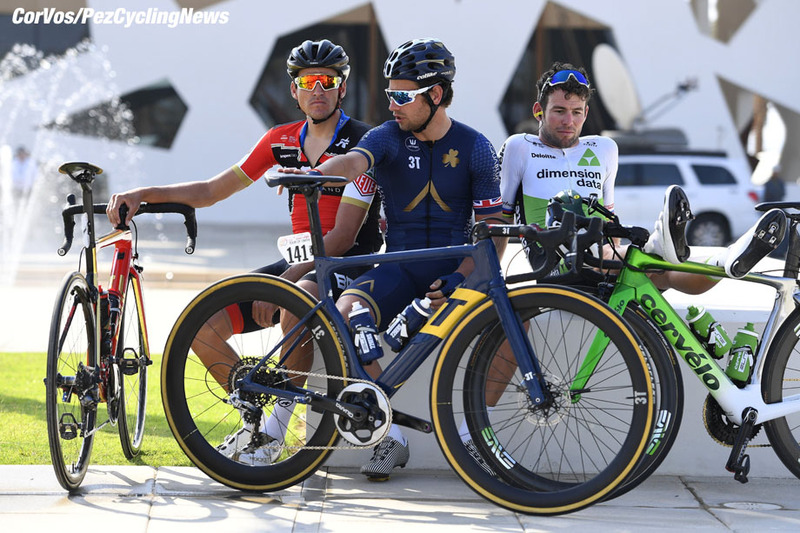 What is Adam Blythe thinking? And how about on a Giro mountain stage where you require a huge spread of ratios? Those Aqua Blue guys are pros, they’ll ride whatever they’re told to but have you seen the cassettes they were running in Liège-Bastogne-Liège? The bottom sprockets were enormous, so there can be no getting away from big jumps between ratios at the ‘low’ end of the cassette. 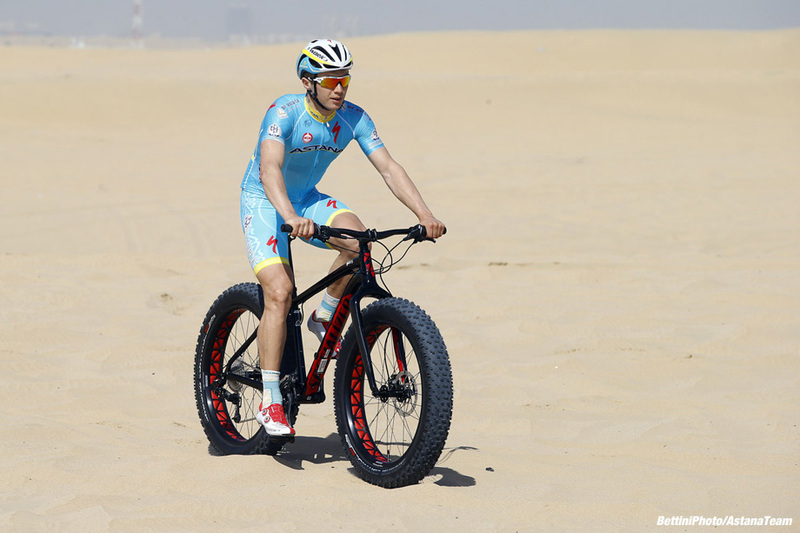 Those Aqua Blue 3T machines with the single ring, curved seat tube, tight clearances and disc brakes look ‘rad’ to many – not to me though, I hasten to add – but I can’t help but think it’s a step backward to limit the ratios you have available and have horrible leg killing ‘jumps’ between gears. When I first started racing we were on a 42 x 53 front rings with five speed ‘blocks’ and for hilly races it was difficult to get it right – 13, 15, 17, 19, 21 was one combination but two teeth jumps at the ‘high’ end of the spectrum aren’t the answer. 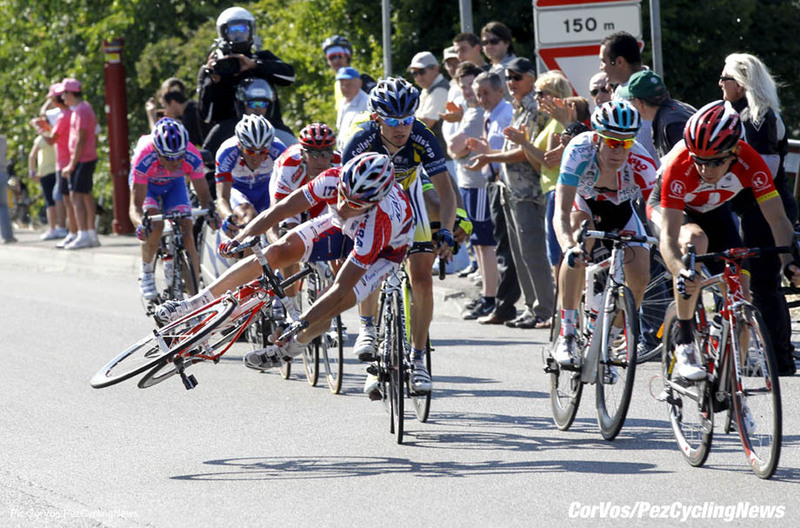 ‘Mega aero’ isn’t much good to you when gear changes hit your legs like falling off a wall. 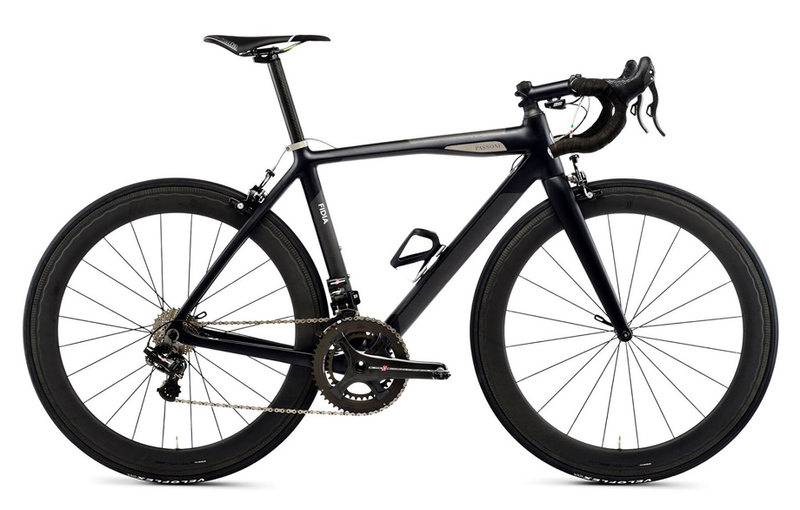 But again, the cycle trade has to convince those sportive guys that really NEED another bike, an aero one with 1 x 11 transmission and discs. My buddy Stevie was in an Edinburgh bike shop the other day and there was a build underway, we’ll not mention the name on the frame but it was a high end US frame. The total build value was over £15,000 Sterling with the frame costing £8,000 and the paint job another £1,500. Yes, it’s the client’s money to do with as they choose but lean over the fence at any Belgian kermis and there are guys there winning on 1,000 euro machines. And then the June issue of ‘Cyclist’ magazine dropped on my door mat; a Passoni Fidia is featured at £22,650 with the Gokiso ‘Super Climber’ hubs – that’s JUST hubs, not wheels – coming in at £7,000. Madness. But the big manufacturers will lap this up; '15 grand? – why, we’re only half of that price. 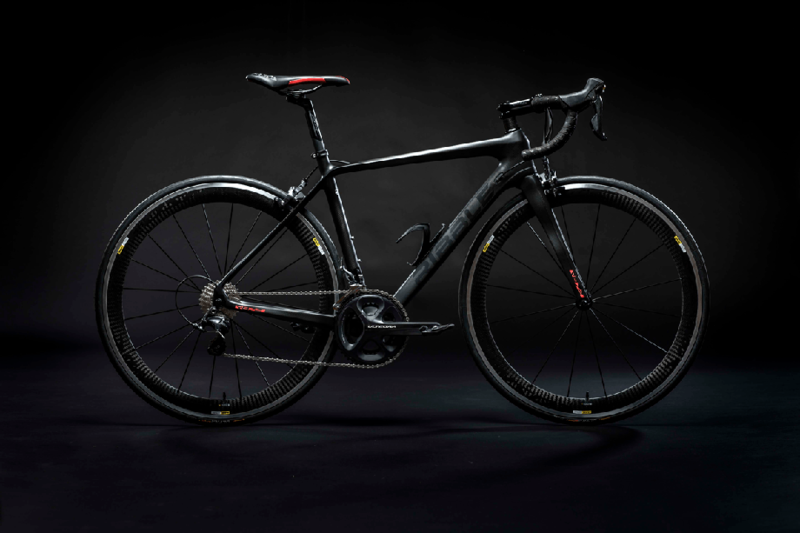 . .
You can buy a full carbon Ribble R872 with Shimano 105 gruppo and Mavic Aksium wheels for £1099 – sit a pro on that in just about any race that doesn’t involve mountain passes and he’ll win on it. And back when, ‘I were a lad’ we used to venture off road regularly on our training bikes, ‘rough stuff’ it was known as back then and as long as you had reasonably substantial ‘wired-on’ tyres – ‘clinchers’ we call them now – there was the only the odd puncture but that was just part of the game. 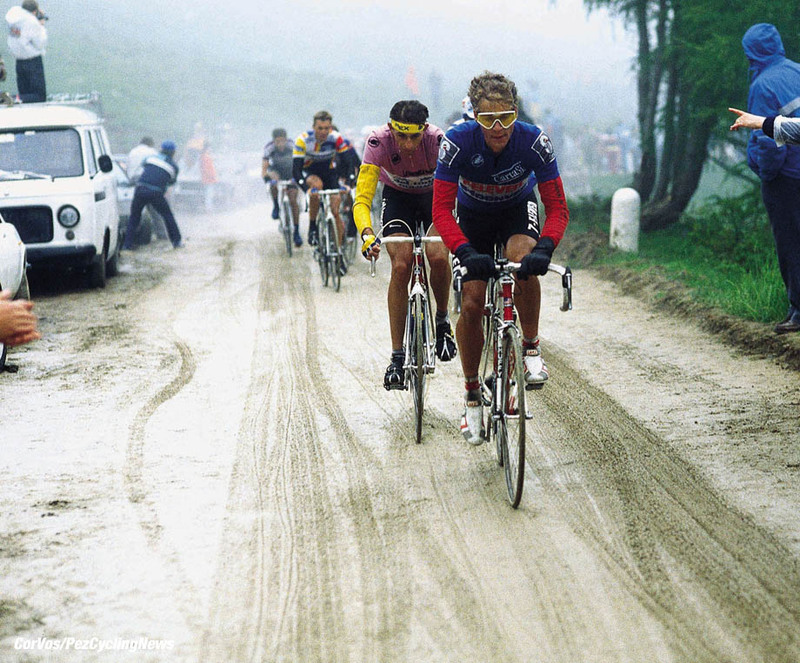 But now we all need a ‘gravel bike,’ presumably with discs and ‘1 x 11’ transmission – I’m not sure about ‘aero’ though when you’re over the rims in mud? Disclaimer: The opinions expressed by our contributors and those providing comments are theirs alone, and do not necessarily reflect the opinions of PezCyclingNews.com or its employees. Although we do try our best, PezCyclingNews.com is not responsible for the accuracy of any of the information supplied by our contributors.